Capitol Hill Barbie has tips for dressing for every holiday party. The New York Times recommends that you do your research before buying into the green fashion movement. Jezebel discusses Michelle Obama and the issue of colorism and beauty. The Wall Street Journal reports on a recent study showing just how many Americans are willing to marry for money. Salon's Broadsheet blog discusses the upcoming reality show "When Women Rule The World". As of now, the only holiday party I'm attending is an "Ugly Christmas Sweater Party" that my friends are throwing, a perfect cheap and cheesy gathering to take our minds off finals stress. My mom has donated one of her favorite Christmas sweaters, fully embellished with sequins, beads, little knit balls and even an applique Santa on the back (she wears this without irony and I love her for it). 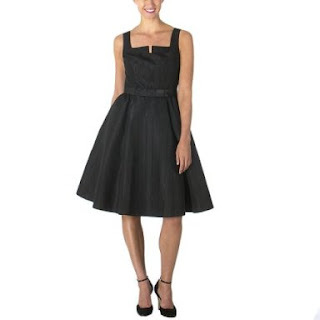 Even though I don't have any swanky parties on my calendar, I love perusing the glamorous holiday party dresses that are filling the stores. I love this season's trend of more structured, body-conscious dresses, and the return of more classic styles that won't go out of style in a season. I may not have an occasion to wear any of these, but hey, a girl can dream. I was looking at perfumes on the internet today and found out that Wal-Mart sold some higher end perfumes. I don't really go to Wal-Mart alot so I was really surprised to see this. For comparison, Gucci Envy Me (EDT, 1.7 oz) was $49.86 at Wal-Mart. It was $62 at Sephora and Nordstrom, and (also EDT, 1.7 oz). Now I realize that there's definitely a difference in level of service at Wal-Mart versus Sephora and Nordstrom, but still, what gives? I have also wondered why sometimes you see perfume at discount places (Nordstrom rack, Ross, TJ Maxx, etc.) at cheaper prices than department stores. They seem to generally be in resellable condition (box isn't beat up, no obvious marks). If the products at Wal-Mart and discount stores are real, how old would they probably be? Old enough that the scent would have altered? Or just not moving fast enough at the higher end stores? Or are they defective, which is why they are not at the department stores? 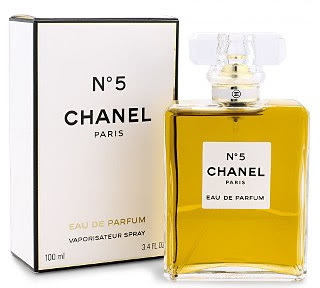 Unfortunately, I know very little about perfume (I'm allergic to most scents so I don't buy it), but I thought Christine's question was a good one, and I was wondering if any of you guys could fill her (and me) in on whether perfume at discount stores is just as good as the bottles at fancy department stores. My gut feeling was that it definitely is, but I don't know whether age could affect the scent...but then again, I'm not even sure if it's the case that there's less turnover at the discount stores. What do you think? One of the benefits of working in a "creative" field is having a lot of options when it comes to choosing an outfit to wear to work. When I first started my internship at a New York advertising agency last summer, I was delighted to see the huge range of styles people wore to the office, everything from jeans and tees to classic business casual skirts and blouses all the way to power suits. Some people were obviously very fashion-conscious, others didn't seem to care at all. While I initially was excited at the prospect of getting to wear (almost) anything I wanted, I soon realized that within different parts of the company, there was an unspoken dress code that I needed to learn. Because I would often spend time with a lot of different departments in a single day, I was unsure how to dress to impress both the young, laid back creatives and the more formal, high-fashion account executives. I finally settled on mimicking my boss on her more formal days, since I think it was important to recognize that her higher status allowed her more leeway in how she dressed, while I had to work to impress everyone as a lowly intern. Another thing I noticed was that women dressed up more (or appeared to have spent more time on their look) in departments where the majority of employees were women. This could be purely anecdotal, but I definitely sensed that appearance was more important on my brand (where all but one of the account people were women) than those that were dominated by men. We talked about fashion, complimented each other on cute looks and (sadly), people were sometimes gossiped about when they wore something deemed inappropriate. Recently, Fashionista had an interesting post on the topic of dressing for your boss. Some women talked about having to tone down their style with a more conservative, less fashion-conscious boss, while one female executive mentioned that she hires women who are better dressed than she. I was curious what your experiences have been with dressing for the office. How much do you adjust your style in an effort to impress your boss or co-workers? If you're higher up on the corporate ladder, do you judge the people working under you based on how they dress? Last week, my good friend Sidnie made her blogging debut after reviewing C.O. Bigelow's Lemon Collection. 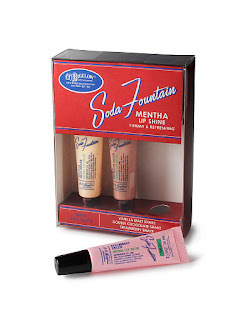 This week she's following up with a review of the Soda Fountain Mini Mentha Lip Shine Trio, which was provided by Bath and Body Works' P.R. people. Thanks to Sidnie for reviewing, I hope to have her back to give her take on other beauty products in the future! Over the past few weeks I tested the C.O. Bigelow Mentha lip glosses in milkshake flavors, which come attractively packaged in old-school pharmaceutical. Similar to their line of lemon products, there are a series of milkshake flavors (Vanilla Malt, Strawberry Shake and Double Chocolate) combined with the classic C.O. Bigelow Mentha, the flavor that made them famous. Strawberry and mint might not sound like the most appealing combination, but who am I to turn down free beauty products? You could tell me it's mold-flavored, but slap in a pretty package and I'm all over it. Over a couple of days, a plethora of friends tried the lip glosses as they sat in my room or next to me in class (this is how Mono gets spread at women’s colleges). Their response was always the same: “This is for Meg’s blog” I would say (or whisper if we were indeed in class) and they would reply (or whisper) “Oooohh- I would totally buy this." Meg termed the Chocolate an “Andes Mint” and I would have to agree- it tastes so remarkably like chocolate that it made my mouth water and I’m convinced it could be used as a weight loss tool- enjoy chocolate without the pounds. The Vanilla Malt is also very tasty without being overpowering, and was tied with the chocolate for highest ratings. The Strawberry was my least favorite because it was a little too sweet (that fake berry flavor that they use in cosmetics rarely tastes like anything appetizing), but a few of my friends enjoyed it. The glosses are all really invigorating with the backdrop of mint. The consistency is not too sticky and I was happy to find that they don’t dry out into that dreaded winter crusty-lip gloss syndrome. The gloss is high-shine and colorless, so it can be worn on its own or on top of lipstick for an added punch at holiday parties. The lip gloss also doesn’t kiss off-on glasses or anything else, so have that cup of eggnog and then make bad decisions under some mistletoe without fear of losing your gloss (you may lose something else, though). At $10, this is a great, inexpensive gift for a friend, or you could separate the trio for quasi-friends in combination with a sweet holiday card. Split them up for Jewish friends and have 3/8ths of the Hannukah nights accomplished! Again, this is a great stocking stuffer and an all-around crowd pleaser. I’m planning on buying this for my brother’s girlfriend who is sweet and trendy but who I don’t know that well- I think any gal would be happy to have these little lip glosses as a gift. These products can now be found online and in stores through Bath and Body Works. I definitely recommend them as a special treat for deserving people in your life- I may even buy one for Meg! The scents and flavors are a fun way to combat the winter elements that make your skin and lips dry and are a gift that will ensure Santa has you in the “nice” list. I always feel a little uncomfortable when someone asks me what I'd like for Christmas. I'll usually say that there's nothing I really need, that I'd be happy with anything, etc, but when people insist, I'll try to think of a few things that I know I'd like. I do at least try to be cognizant about the person's financial situation, their closeness to me, and so on, but it's hard to come up with ideas. I'm probably not the only one who feels a little selfish when I'm asked to make a wish list, but I find myself asking family members that same question every year. I love to search for unexpected items that just scream a friend or family member's name, but these items don't always fall into your lap. But that doesn't always happen, and at the end of the day you want to know that the recipient is receiving something they really love. There's definitely a good and a bad way to go about making a wish list. The first rule is obviously that, unless someone has asked, don't send them one. They may have already gotten your present and will feel badly if it doesn't match any of the items you listed. It also sends the wrong message about your attitude toward gifts, that you expect and deserve something, when every gift should be treated as a special, unnecessary treat. But what if someone (mom, grandma, boyfriend, brother, etc) asks for some suggestions? I think the best route is to stay vague, so that they don't feel pressure to buy one specific thing, which they might not like or may be out of their price range. When my aunt asked me what I'd like for Christmas, I said that I'd appreciate anything I can use when I get my first apartment after graduating in May. I know there are so many things I'll need, and it would be great to have something practical that reminds me of my aunt when I use it. By opening it up to the wide category of home stuff, I figured that she could find something within her budget and not feel too worried that she'd be getting something I wouldn't like or use. If you didn't have a specific situation like mine, you could always mention something you're interested in. I was really into throwing wine and cheese parties for a while and one Christmas my family got me everything I needed for entertaining, which was great. A person might run the risk of purchasing something you already own, but let them take the initiative to ask for something more specific. If someone wants more specific suggestions, be sure to make a list that includes things from a variety of price points, and items that are easily available (I usually will send a few links to sites where you can buy the items so that the person doesn't need to search all over for it). I always have a long list of books on my wish list at Amazon (full disclosure - I benefit if you shop at Amazon through links on my site), so I'll usually send a few links to those to family members who ask what I'd want, and books are great since the person can buy one or a few depending on how much they'd like to spend. If you've got a family member who's not very internet-savvy, listing the titles of the books you're interested in is a good idea, since they can always find them at a local bookstore. I think it's also important to take the other person's interests in mind when you're making a wish list. When my sister mentioned that she's been looking for a new purse, I was so excited to start looking for one for her Christmas gift. Finding the right gift is difficult in itself, don't make it harder by asking for things the other person has no knowledge about or interest in. I'm a big believer in giving charitable donations as gifts, and I think it's acceptable to ask for a charitable donation. I would give the person multiple options (other charities and regular items, in case they're uncomfortable with the organizations you listed) and would avoid listing any charities that might compromise the other person's values. Unless you know for sure that your mom supports the same candidate, has the same religious affiliation or feels strongly about a divisive social issue, don't request donations to these types of charities. We live in such a materialistic culture that it's often easy to fall into the trap of feeling like we deserve expensive or lavish gifts if someone has the financial means to purchase pricey things. I was mildly disgusted to read about the rising trend of shoppers making wish lists at their favorite stores and then having the store contact loved ones to recommend that they purchase the items. I think Anna Post (Emily's great-great granddaughter) is spot-on when she said, "A gift should be about the relationship between the giver and the receiver. When you have a middleman like that, it becomes a business transaction." I don't think anyone has the right to ever be angry or disappointed if they receive something other than what they requested on a wish list. This is a petty, selfish, materialistic attitude that totally goes against the real meaning of the holiday. Be grateful for anything you receive, don't worry too much about searching for that "perfect gift" and let the holidays be about spending time with your loved ones and expressing gratitude for having them in your life. What are your thoughts on wish lists? Are they tacky or necessary?